Seasons Felicitations fellow seekers of truth. I need to share my latest escapades with you. To begin at the beginning: Unlike some one million car drivers in this country, we have car insurance and have “fully comprehensive” cover at that. Recently the windscreen of the Nolan limousine decided to call it a day whilst we were hurtling down the M4, carrying the precious cargo of Sainted Mother-in-Law and her Daughter, the current Leader of the Opposition. I phoned the insurers: “Press 1 if you have the audacity to want to make a claim; Press 2 if you are still there; Press 3 and we will play some inane classical music and Press 4 and we will cut you off.” I was eventually put through but not by a humanoid to an approved windscreen company. I had to pay a £75 excess despite being “fully comprehensively” insured. I was also informed that the pedestrian safety camera mounted inside the windscreen of the car would need recalibrating once I could see out of the glass again. This could be achieved for a further £250 of my hard-earned. I was now £325 down on the deal and when viewed against a basic annual premium of £314, was feeling understandably somewhat miffed. Having agreed to the above replacement, I was then faced with having to negotiate an appropriate date, time and location for this to be achieved. I am the client remember (because I am paying), but was told it would be 8-12 or 1-5 on a day chosen by my supplier. I asked if they could be a little more specific on timing as I had a life and She and I both had crusts to earn, to enable us to pay for the little luxuries in life, like insurance. Alas they could not do this. It got worse – “Did I have anywhere that the replacement could be effected in the warm and the dry.” “Yes” I said, “We were thinking of having a large kitchen extension with bi-folding doors, will that do?” I felt like screaming “I am the client, I am paying, I want some say in how and when this is done.” Anyway, come the day in question (by now I was driving from memory rather than from sight), I had a phone call, unfortunately, our new windscreen was damaged in transit and a new one would take about three days to come and be introduced to us. My response was alas, unprintable. Suffice it to say that the sprinkling of several Anglo-Saxon derived gems, never heard before in polite windscreen circles, will now no doubt be used for staff training purposes. 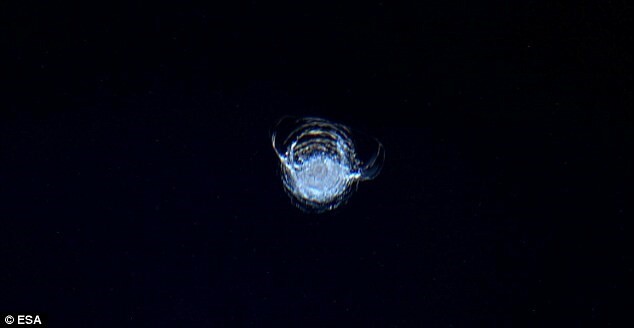 Here we have the ultimate cracked glass caused by a minor collision in space in a picture taken by astronaut Tim Peake. I would love to know how he got this repaired. My insurance tale of woe does not end there. The big day arrived and I was naturally excited. The glass job was completed and I sped off to a meeting. I felt like somebody who had just had a successful cataract operation with light and vision miraculously restored. This is what enabled me to see the Motorway Cop who blue-lighted me going through the Bryn Glas Tunnels and then invited me to follow him into a lay-by. 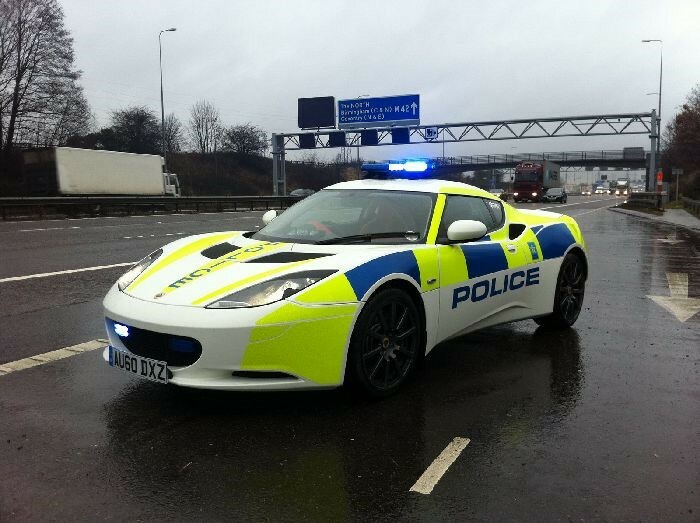 I had pinged his ANPR camera because my car had come up without any insurance! My how we laughed. It was of course insured and a quick but very one-sided call to my insurer and I was on my way again. I was subsequently charged £19.50 by them for changing my insurance details (I had a different plate on the car which they had failed to record correctly on their insurance database). So, just £344.50 down on the day and a starring role in Police Interceptors. I am sure you would not expect me to ignore the recent comedy show that was the US Presidential Election. Trump has been famous for opening his mouth and putting his foot in it but he has not been alone in this over recent years. Vice President Dan Quayle was famously heard to say “If we don’t succeed we run the risk of failure.” And who could forget Ronald Reagan: “My fellow Americans, I’m pleased to tell you today that I’ve signed legislation that will outlaw Russia forever. We begin bombing in five minutes.” Then there was George W. Bush: “Throughout our history, the words of the Declaration have inspired immigrants from around the world to set sail to our shores. These immigrants have helped transform 13 small colonies into a great and growing nation of more than 300 people.” Don’s in good company. This latest election result was of course foretold by the children’s 1960’s animated programme,“Trumpton”, about a happy and imaginary place far away. The programme started with the character roll-call: “Pugh, Pugh, Barney Mc’Grew, Cuthbert, Dibble and Trump (Grub).” So, a few short years later we now we have “Trump Town” and Phew, Through, What do I do, Fluff it, Fiddle and Jump. I can understand concerns that President Trump will now have his finger on the nuclear button. However, I take some comfort from the fact that he probably does not know that there is a nuclear button or where it’s at. Democrazy is what it is. Di nosaurs – Welsh Skin specialist. Di alog – Welsh Lumberjack. Di arist – Welsh hand specialist. Di ffuse – Welsh Electrician. Di amante – Artistic Dai.